Update: We’ve also got a nifty countdown of Sony’s ideal live time for the servers. Whether or not they hit it is yet to be seen. We're celebrating EverQuest's 13th birthday! 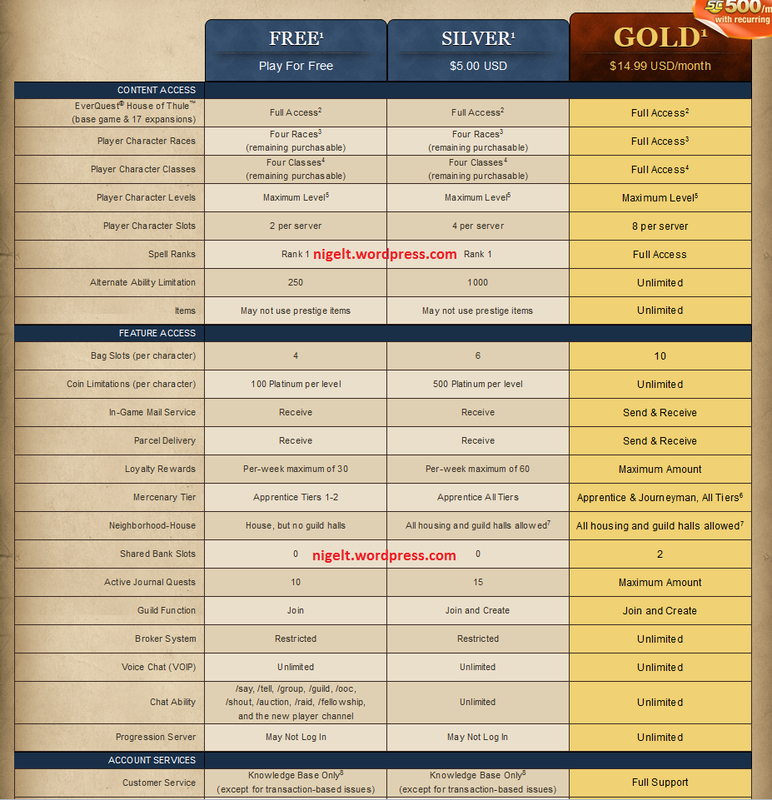 Beginning at 12:01 AM PDT on Friday, March 16, 2012, we will be launching EverQuest Free to Play. Your Way. This year we are combining it with one of the most exciting things to happen in the history of EQ. Mark your calendars and get ready for one huge celebration, with 13th Anniversary events and the transition to free-to-play both coming on March 16! To celebrate EverQuest’s 13th birthday, players will be able to embark on anniversary missions and quests. Stop by the Plane of Knowledge to join the celebration. Just look for the festive anniversary décor to get started. There are thirteen new themed quests, including a spectacular mission as some of the greatest villains of EverQuest, a raid to stop a familiar face from gaining ultimate power, and over 40 events from past anniversaries. In this update, we will also launch the Hero’s Journey. All players upon logging in will receive a book which guides them on their adventuring. New content and achievements have been added for this journey. Also, new map functions have been added to the game. Using the Find feature not only shows you the path to your destination in the world, but also the path on the map. On top of that, you now have the ability to click on your map and have a path appear to that spot both on the map and within the world. A new zone guide will also help players find how to get from zone to zone within the enormous world of Norrath.